Making a biopic is like adapting a classic novel on screen, you can never do justice to 700 pages of elaborate details by writing two hundred pages of screenplay. That is perhaps why writing biopics demands immense command on storytelling and a thorough understanding of the cinematic canvas and its ability to increase the emotional quotient of any situation. But when you have a real-life rags-to-riches plot than the least you can do is put the story across in a remotely engaging manner and that’s exactly what Shah is: a film that bleeds passion, sweats honesty but doesn’t have life as a whole. Directed by Adnan Sarwar and based on the life of Pakistani Olympian boxer Hussain Shah, the film begins with an interview. 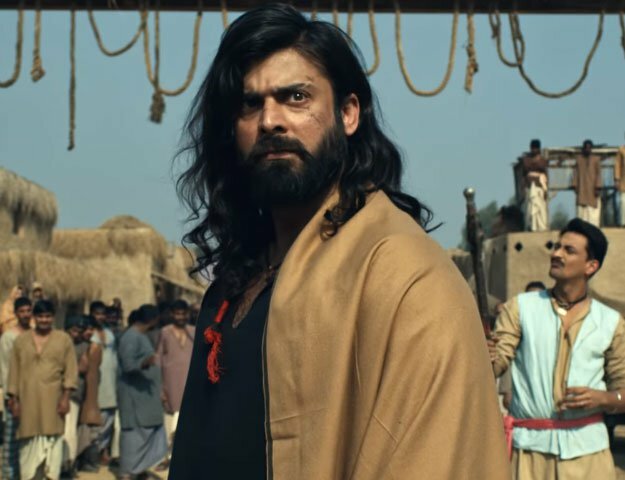 Played by Sarwar himself, Shah sits in front of the camera, clad in a shalwar Kameez and waist coat and recollects his journey from the slums of Lyari to being the king of the boxing ring. And so it begins, Syed Hussain Shah is found in the slums of Lyari by Chacha (Gulab Chandio) who adopts him and gets him work to do. As time passes by, Shah realises that his true potential lies in his ability to knock out people and get knocked out and that’s when he joins a local boxing club. From here on begins the struggle of a boxer, in fact let me say a Pakistani boxer. There is also a female journalist in the story played by Kiran Choudhry but her existence in the story is as pointless as her mention in the end of this paragraph. This doesn’t necessarily mean that Shah is a bad experience. For a country that has never seen an inspirational story on the big screen,Shah is a welcome respite. Through the life of a champ that was never celebrated, it brings forward what Jung would call the ego and the shadow of our society — what we want others to know about ourselves and who we really are. And how things can change for good if we find a balance between the two — this quintessential reality check is whereShah makes a stand. However, the greatness is only restricted to the theme and flashes of brilliance on the stylistic front, beyond that it’s just an amateur attempt at making a feature film. And despite the entire Hullabaloo about the film being made in a very “limited budget”, none of these problems are related to the budget. The script literally has nothing to offer to the actors, who often deliver dialogues without any clear motivation. Any film that showcases an epic inspirational journey is bound to have a few one-liners that stay with you for the rest of the life but this sadly doesn’t have any of those. And even legendary performers such as Chandio are wasted despite a consistent effort by him to somehow fuel up the screen. Sarwar himself tries his level best to adapt the Balochi accent but in managing to do so he loses on the emotion of his character. The grand and power packed score by Salman Albert and Sarwar keeps the film alive but no melody can suffice, if the jabs and punches in a boxing match have been dragged to the point of looking boring. As a whole, the film does seem like a wasted opportunity; maybe someone with a better understanding of aesthetics of filmmaking would have pulled it off in a better way. But, no one even thought about putting time and attention into the life of an unsung Pakistani hero, who doesn’t live in Pakistan anymore. Verdict: Shah is a tad over-ambitious but sincere effort to tell a story that needed to be told, and Sarwar deserves to be commended for that.